This year's GUKPT Goliath is in full swing and over the course of three opening flights the field has already topped 1,300. Over the weekend 961 grinders joined the mega tournament for a shot at glory and that figure was topped up on Monday when a further 343 players joined the action. 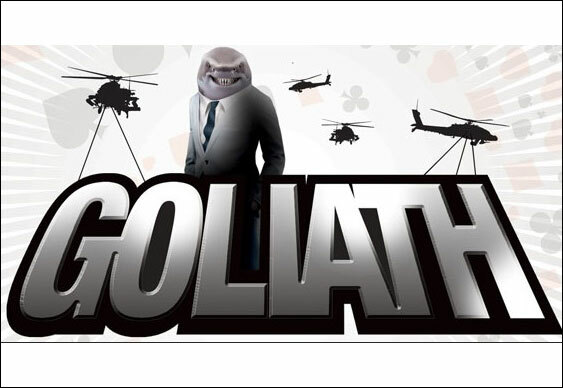 Since coming into being, the GUKPT's Goliath has continually posted big numbers for its small stake, big value event. Costing just £100+£20 to enter, the £250,000 guaranteed tournament has starting flights running until Friday this week and, if everything goes to plan, an impressive 2,000+ players will have joined the action before that time. Leading the way before the start of Day 1C on Monday was Sunny Mistri with 660,000 chips. That haul was more than enough to put him ahead of Mark Hester (600,000) and Stephen Broughton (462,500) by the close of Day 1B. In fact, Mistri's stack was large enough to stay ahead of everyone on Day 1C as well. Despite a strong wrong by Steve Watkins at the close of the day, his 455,000 haul was only enough to top his respective day but not topple the dominant Mistri. Today's session, Day 1D, is expected to attract another 250 runners; however, as was the case on Monday, that total is likely to be smashed as players ante-up just £120 for the chance to win the lion's share of £250,0000. With registration open until Friday, there is still time for people to join the action inside Coventry's Ricoh Arena. From direct buy-ins to live satellites, there is still time to join the 2015 GUKPT Goliath.